Overdrawn Directors Loan (Current) Account Anyone? Directors Loan Account is a cheap way of funding yourself? Not. If you have an overdrawn directors loan account then you may find that you are required to pay tax and NI to HMRC for the pleasure. Why? I hear you ask. Quite simply because you have a form of income/loan which you are and not paying tax on and it would just not be fair to allow this. What tax do I pay on an overdrawn Directors Loan Account? We will use an example to highlight the potential issues. Company A has a year end of 31 March and the sole director has an overdrawn Directors Loan Account of £15,000 from 1st October. An overdrawn Directors Loan Account at the end of your financial year not repaid within 9 months and 1 day after your financial year end in which the liability arises will incur a payment to HMRC of 25% of the balance outstanding along with your Corporation Tax payment. This is refundable when the loan has been repaid but not until 9 months and 1 day after the end of the financial year in which the loan was repaid. There are many rules around this so please seek advise to limit the amount of S455 that could be due. If your overdrawn directors loan account is in excess of £5,000 at any point during the tax year it is deemed as an employment related loan. If the employee does not pay the company interest at the HMRC official rate of interest it is deemed a Benefit In Kind (BIK) and you guessed it personal tax and employer’s NI is due. This needs to be reported on form P11D and the accountancy fee may end up costing you as much as the tax and employers NI on top. Using our example above this would equate to £122.80 tax on the individual if a higher rate tax payer and £42.37 employers NI. The total cost of having the overdrawn directors loan account in the example above is now up to £3,915.17 plus the costs of an accountant to sort out that little lot above. Here are our top tips to avoid or reducing the £3,915.17 burden from our example above. The biggest thing to bear in mind here is the use of the word ‘temporary’ as what HMRC deem to be temporary may differ to your understanding. There was a recent case on this very subject which highlights the problem of whether or not mileage is allowable between your home office and the places you attend. Watch the video below to see just how easy it can be to record your mileage on the move. It is perfectly acceptable to claim a proportion of your home as use of office especially if you are carrying out a particular trade such as chiropractors. There are a few things that you need to consider when doing the calculations. You can claim a flat rate £4 per week without any calculations being provided but in most instances unless you are just writing up books and records will not be sufficient. There are calculations that you can perform to work out how much you can claim and I have included a link below which offers some examples of what is allowable and also how to do the calculations. It is very important to ensure that the room is not used solely for business use as this could leave you liable to Capital Gains Tax when you come to sell the property. We know it is pain in the backside taking care of those little things called receipts and you have better things to do but they will add up across the year and this is tax free money you are throwing away. Each receipt processed could help you reduce your directors loan account and that £3,915.17 that you owe. 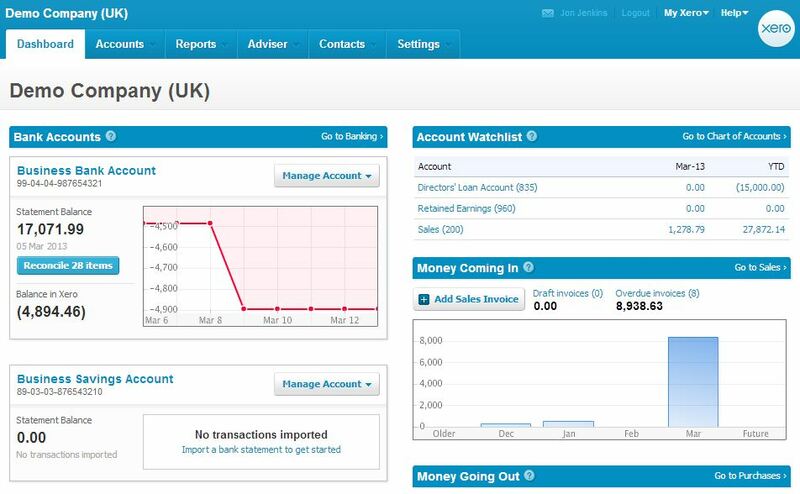 Claiming VAT on Mileage on Xero from Jon Jenkins on Vimeo. Timing is everything and if you have profits that you can distribute then why not vote a dividend and credit it to your directors loan account. This way you will have some hard earned cash to drawn down on and it will keep you out of trouble with that £3,915.17. Make sure you time those dividends to mitigate any personal tax liability. Using something as simple as the Xero Dashboard can help aid this decision making process. Seems logical but if you have an overdrawn directors loan account it means you owe the business money. If you do not want to pay that £3,915.17 then why not raid the piggy bank and put some money back in the business. As highlighted above the BIK for the P11D only arises on the difference of the HMRC interest rate and the interest that has been paid so our advice to avoid the tax and employers NI would be to pay interest to the company on your overdrawn loan account at theHMRC approved interest rate. That is correct you could even write off that loan. The write off is treated as dividend income to the Director and you would also need to calculate the NI due through the payroll. The write off is not allowable for corporation tax relief (what a surprise). This can be an expensive option and if the company has distributable reserves voting a dividend and crediting to the directors loan account would be a much more sensible solution. The information provided above is a guide only. Please seek professional advice from your accountant when considering any of the above.